Resident Evil 4 Wii Edition is a horror game for adults that is a complete departure from most of the other family-friendly games for the Wii. Resident Evil is a long running video game series that has gained a cult following over the years for its thrilling gameplay and spine-tingling stories. Resident Evil is now available on the Nintendo Wii, bringing the Wii remote controller's point and shoot style to this all-action shooter. In Resident Evil 4 Wii Edition you'll play the role of Leon Kennedy, a Secret Service agent searching for the kidnapped daughter of the US President. The President's daughter was last seen in Eastern Europe, and you'll travel to zombie infested villages on your mission to find her. As you go from village to village searching for clues, you'll meet the village locals who aren't as friendly as you might expect in the backwaters of Eastern Europe. The eerie silence of the villages combined with the fact that the local zombie villagers attack you from all sides make the game both exciting and terrifying at the same time. I hope you like adrenaline because your heart will thump in your chest the whole time! Let me start by saying that Resident Evil 4 Wii Edition isn't a fitness game but it will definitely get your heart racing! This game is different to most other Wii games in every aspect. From the graphics to the story Resident Evil 4 will shock you and surprise you every step of the way. Resident Evil Wii's graphics are excellent and they go for a very realistic look. Whether it's the fog drifting off the cold ground or the run-down villages, the graphics are intense and help to create the scary atmosphere in the game. During the game, you'll take control of Leon Kennedy. Leon is a Secret Service agent on a mission to find the US President's kidnapped daughter in Eastern Europe. 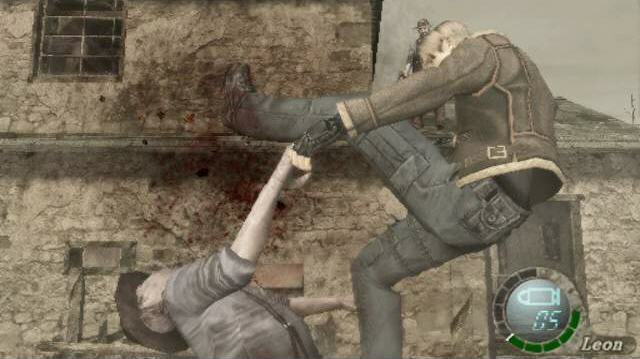 The game makes good use of both the Wii remote and nunchuck controller to control Leon Kennedy's character, fight zombies and pick up clues. The joystick on the nunchuck controller is used to walk and run. You'll have two main weapons in the game, a gun and a knife. As well as walking, the nunchuck controller is also used to activate your knife. The Wii remote is used to stab zombies and to shoot your guns. After activating your knife with the nunchuck, swinging the Wii remote from left to right will cause you to slash at the nearest zombie's throat. Aiming the Wii remote directly at the screen will aim your gun. Point your Wii remote at targets on the screen and blast them away. Wherever you point the Wii remote is exactly where you'll shoot. The aiming system works really well and I can't say that I was ever frustrated by inaccurate aiming (other than from my hands shaking with fear!). The Wii remote is also used to perform other special actions. If you're grabbed by a zombie, you'll need to shake the Wii mote to free yourself. The longer you take to free yourself, the more damage the zombie does to you. There are quite a lot of actions to perform during the game but this is made fairly easy by on-screen instructions that pop up and tell you what you need to do. At no time do these actions feel overwhelming or confusing. As you play through the game you'll have an opportunity to collect gold, ammunition and healing herbs. Every time you kill a zombie they'll leave something behind for you to collect. Most of the time it's gold coins, but other times it's ammunition for your gun or herb plants to help you heal yourself when injured. You'll have opportunities during the game to spend the gold coins that you collect. You'll be able to purchase new guns, as well as upgrades to your existing weapons. These upgrades include having more bullets before needing to reload, faster reload times, and more powerful effects with each shot. You can also spend your money on side items like treasure maps, which let you search for hidden treasures as a side mission to finding the President's daughter. These side missions are a fun way of adding extra playing time to the game, and makes Resident Evil 4 Wii Edition good value for money. The game's environment is as scary as any good horror film. You'll progress through the game moving from small village to small village. Just when a village looks deserted, you'll find yourself under attack from the locals who have all been turned into blood thirsty zombies. One of the main sub-plots of the story is finding out what has happened here to turn all of these villagers into the living dead. Trust me when I say there are moments in this game where the adrenaline definitely takes over! 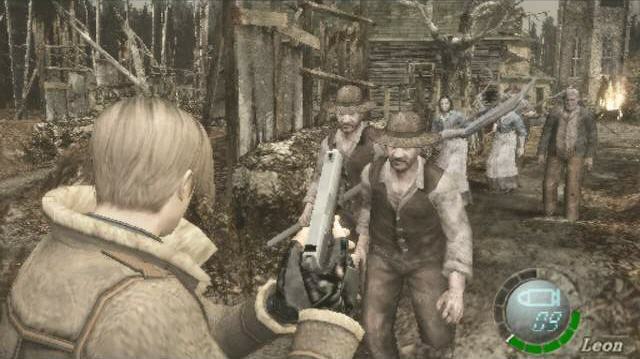 My biggest issue with Resident Evil 4 Wii Edition is the camera that follows you during the game. In most games, the camera moves at the same rate as your character. If you turn to the right, so does the camera. If you turn back again, so does the camera. This works to give you a consistent view of your surroundings. It just doesn't seem to do this very well in this game, and you'll need to keep adjusting the joystick around to see what's going on. I don't know if the game does this to add a sense of confusion and panic, but I found this to be frustrating. There is a button to re-centre the camera but it's annoying having to push it every time you look around. Resident Evil 4 Wii Edition also has long gaps between checkpoints. A checkpoint is a point where the game automatically saves your progress. If you die or turn off the game, you can usually start again from your last checkpoint. Most games have a few checkpoints in every level. The long gaps between checkpoints in Resident Evil 4 Wii Edition mean you'll have to replay long sections of the game every time you die. It can be a bit demoralizing knowing you have to replay an entire section just because you died right at the end of the level. 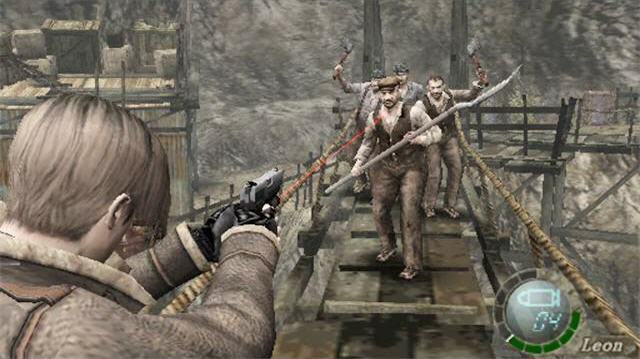 Even though it has some frustrating elements to the gameplay, Resident Evil 4 Wii Edition is a huge success on the Wii. The game breaks away from the traditional fun and furry games that have made the Wii so popular with the masses, and it succeeds on nearly every level. The graphics are great and the story gets down to business very quickly. 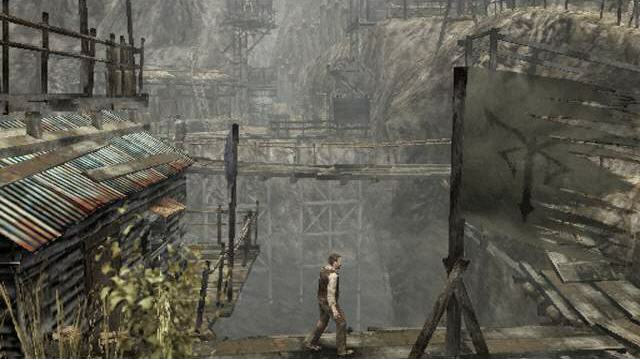 The game mixes up sections where you're exploring villages looking for clues, with sections of intense action that doesn't let up. The game is violent and has a 15 age restriction, but the adrenaline is addictive and makes it very hard to put down. Resident Evil 4 Wii Edition is highly recommended for anyone who loves great action games and horror movies, and with extra side missions to play through, there's enough gameplay here to keep you going for hours and hours on end. 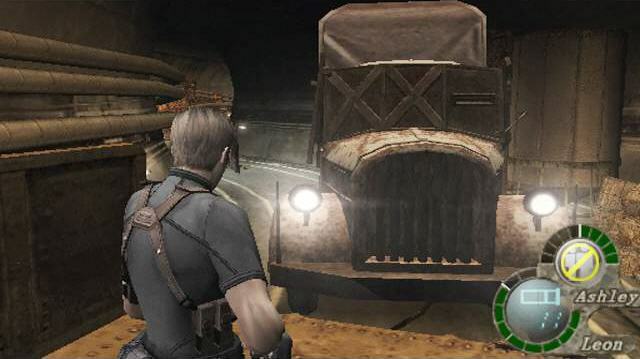 Resident Evil 4 is out now and available from Amazon (and Amazon.co.uk for gamers in the UK) with FREE Super Saver delivery. Resident Evil 4 Wii Edition is highly recommended for action and horror film lovers; you can find more games from the main Wii Games Review page.